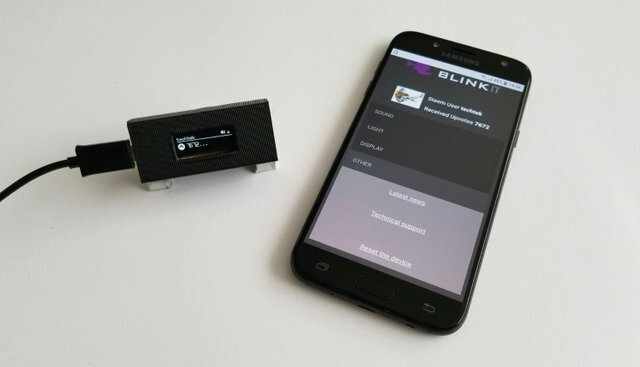 This new version brings customization options and more control to the user over the Blinkit standalone, Steem notification device. It's compatible with the inexpensive, (10 usd +/-) and widely available Heltec Wifi KIT 8 (Arduino Nodemcu module) and includes the following new features. Victory beep: "te tuu TUUUU"
The avatar picture for the saved user is displayed in the webinterface. When the menu item "Other" is selected it show links to the @blinkit profile, where the Blinkit related posts are shared, and to the Blinkit Discord, for technical support. 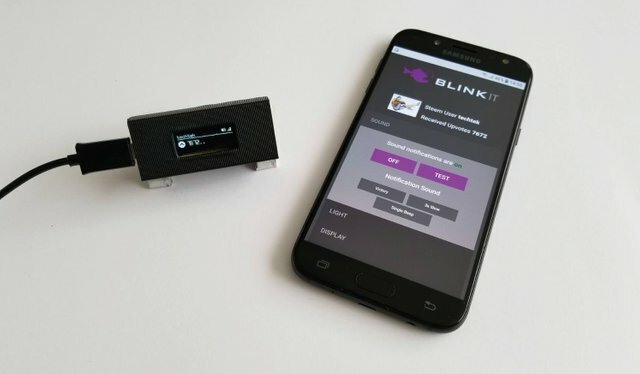 When the Blinkit logo is pressed it will work as a home button. 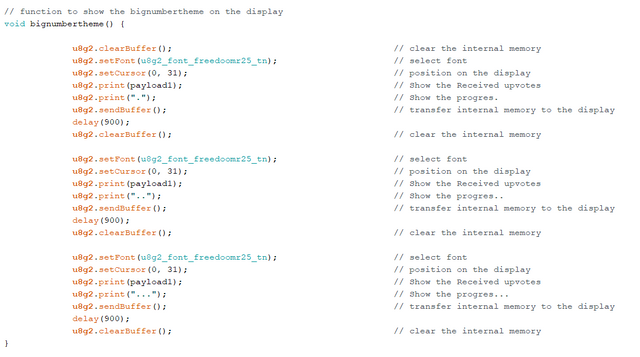 To make it possible to switch themes, a new variabel is added: displaytheme in here the theme to be used is saved. The previous mainscreen is turned into the "default" theme, and the newly added themes "big" and "screen off" are added in functions as well that are called based on the request that is received by the device. the web interface sends those commands by the press of one of the buttons. Code that saves the selected theme into variabel "displaytheme"
Code that shows the "big" number theme. for "default" and "screen off" themes are seperate functions. To make it possible to switch between notifications sounds a new variabel is added: notificationsound, that stores the by the user saved notification sound, the different notification sounds are added inside there own function and can be called per URL to trigger them. When one of the buttons in the web interface is pressed the file is played and set to be used when new Upvotes are received. 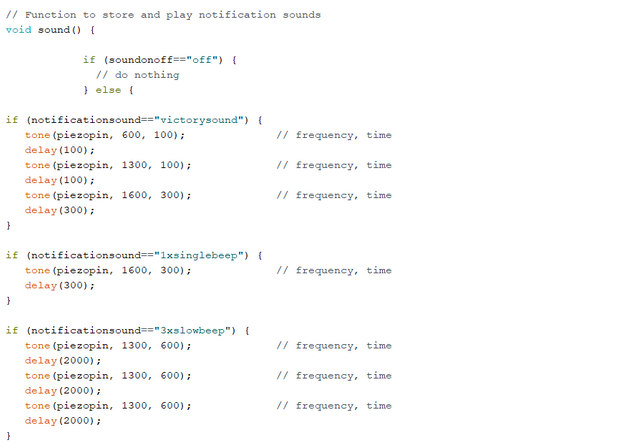 Code that gets triggered when the user press a notification sound button in the web interface, it sets the sound as current notification sound and plays the sound once. Thanks for reading and supporting the Blinkit project, if you need help with setting up your device or if you want to get in contact / want to help to contribute to the Blinkit project, please feel free to join the Blinkit Discord server, More details about Blinkit can be found on the Blinkit website. Thank you for your contribution, a nice update to a project. Small doubt, a lot of places I have seen you are using only if and not else if, like https://github.com/techtek/Blinkit/commit/66321b387f469f2b955461ea6d67c502396c79cc#diff-fe6449eb7fceb15a3ece3f5c17f7689eR646, is there a reason behind it, can displaytheme variable get more than one value at a time? 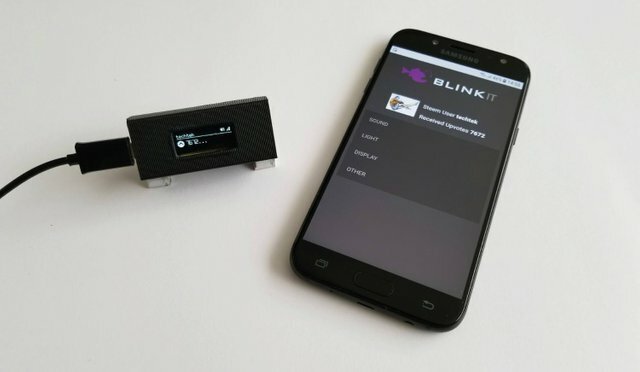 Also for this line, https://github.com/techtek/Blinkit/commit/66321b387f469f2b955461ea6d67c502396c79cc#diff-fe6449eb7fceb15a3ece3f5c17f7689eR1004 you are using the below code three times, can this be added as a function and then called, this way your code will look good. So far this week you've reviewed 10 contributions. Keep up the good work!